A unique handmade lamp. The base is chiseled from rowan wood with a plum wood clock compartment inside. The compartment can be removed to change the battery or set the time. The switch is on the back side. 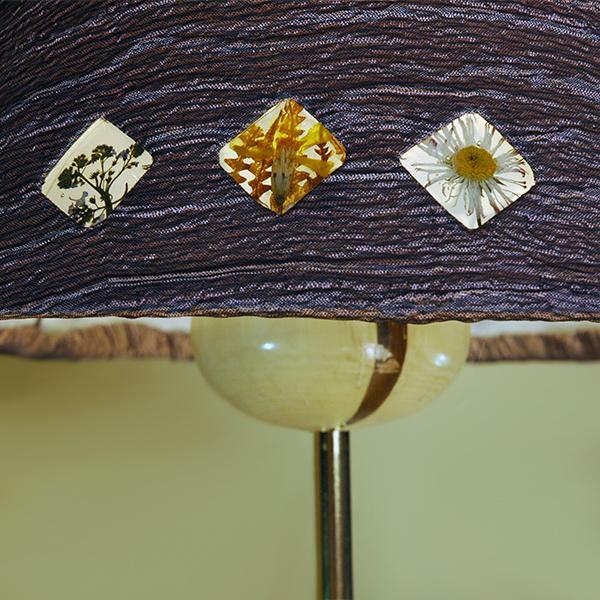 The lampshade is made of cloth and decorated with insertions of transparent jewelry resin with embedded dried flowers. A great decoration for an unusual interior. One-of-a-kind item.